I am not seeking glory with this book, but I certainly had to have a book in tactics! Th at’s the main idea of the book; to be a companion for trainers and players who seek improvement — simple but effective! The names of the mates are not important. What’s crucial is understanding and sub-consciously memorising these patterns in order to recognise when they’re about to occur in a player’s own games. Th ese mating patterns are not confi ned to chess problems and puzzles. As will be shown, they occur in the games of Grandmasters and even World Champions, past and present! Th ey belong to everybody’s games, even beginners’! 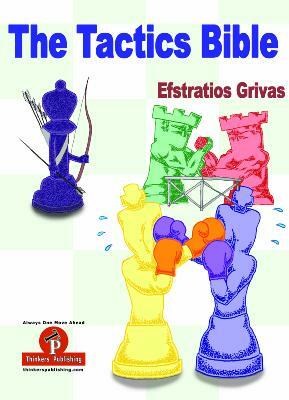 Each mate’s theoretical pattern is presented as a diagram, with constructed examples and actual games. It is suggested that students set-up and play through these mates from the losers’ viewpoint as well. Most difficult of all is recognising patterns when they occur horizontally (i.e., rotated 90 degrees) from the normal orientation. Th e key to each pattern is the status of the squares surrounding the king: which ones are obstructed, which are potential flight squares that can be controlled with the available pieces. Players are advised to know these patterns forwards, backwards and upside down!